There are so many reasons to love autumn and things to love about. Unfortunately, where I live the fall season doesn’t last very long. Typically once summer ends, the weather stays pretty hot (upper 80s) up until mid-October. For a short while (about five weeks) we have fall weather before the season turns to a dry cold. Perhaps the short length of autumn is what makes it so special to me. 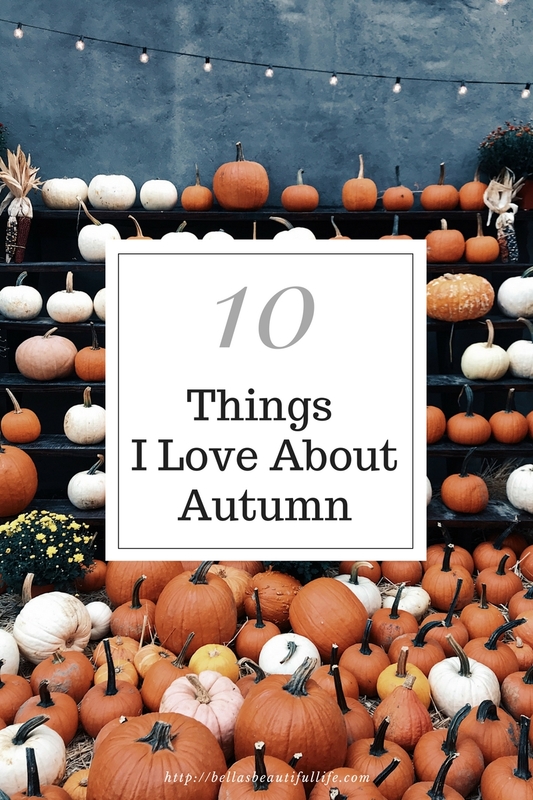 If I listed everything I loved about it, the list would probably go on for almost forever, so for today I’ve picked out just a few of the things I love about autumn to share with you. Cozy oversized sweaters – I love sweaters of all colors and materials as long as they aren’t made of a super itchy material. They’re great because you can wear them with jeans or leggings and dress them up or down. Rainy Days – I like rainy days in general, there’s something so relaxing about the sound of rain hitting the roof, but in the fall time rainy days are extra cozy. For some reason the rain somehow smells different than it usually does in spring or summer. Flannel – Plaid flannel blankets and shirts are the best. 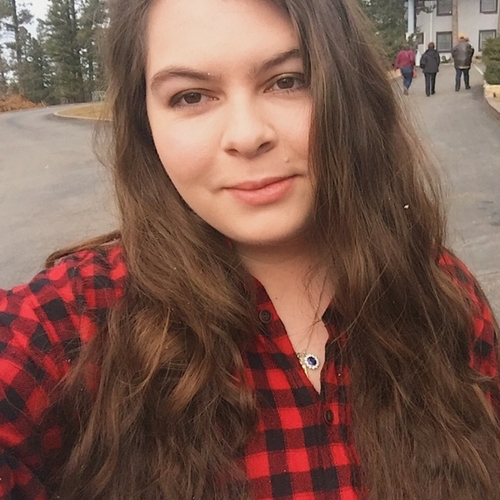 My favorites are red and black plaid and blue and white plaid. The leaves changing colors – The oranges, yellows, and browns of the leaves, the colors all look like they’ve been laid out on a paint palette or a painting. The colors of autumn seem to make everything look good even if its’ an old, dilapidated building. Boots – I don’t like a whole lot of dressy shoes such as high heels, so I’ve often surprised even myself with how much I like boots in the fall and winter months. They’re so great because kind of like sweaters, you can wear them with a casual outfit or a dressier one (of course it depends on the style of boot). Currently my favorite boots are two pairs of lower ones, a black and a camel color from JC Penney, and a pair of knee-high black leather, White Mountain boots. (This is not a sponsored post). Football – Whether it’s playing football or watching football it’s all super exciting, unless your team is losing of course. Hoodies – One of the difficult things of being a girl is that whoever designs women’s clothing can’t seem to add real pockets. I like hoodies because they have huge pockets (typically omitting the need for a purse), where I can put my lanyard, chapstick, phone, etc. Pumpkin – Aside from pumpkin candles and air fresheners, I love pretty much anything that has to do with pumpkins: pumpkin spice, pumpkin pie, picking out pumpkins, decorated pumpkins, pumpkin bread, and pumpkin seeds. The calm before the hectic holiday season – I enjoy the fall and winter holidays, but sometimes things just get too fast paced and it easily becomes difficult to take the time to read a book, rest, and actually enjoy what is going on. No matter what we do we can’t completely get rid of the seasonal business (unless of course we moved by ourselves to a cabin in the mountains somewhere). So, it is nice to take some time to rest up and organize ourselves before the holiday whirlwind begins.